Comic-Con: Hold Your Breath… the Aquaman Trailer is Here! Hold your breath… the Aquaman trailer is here! Warner Bros. Pictures and DC Films have released the Aquaman trailer featuring our first look at Jason Momoa’s Arthur Curry on a new adventure. Check it out below! RELATED: Aquaman Director James Wan Speaks from the Set of the Film! 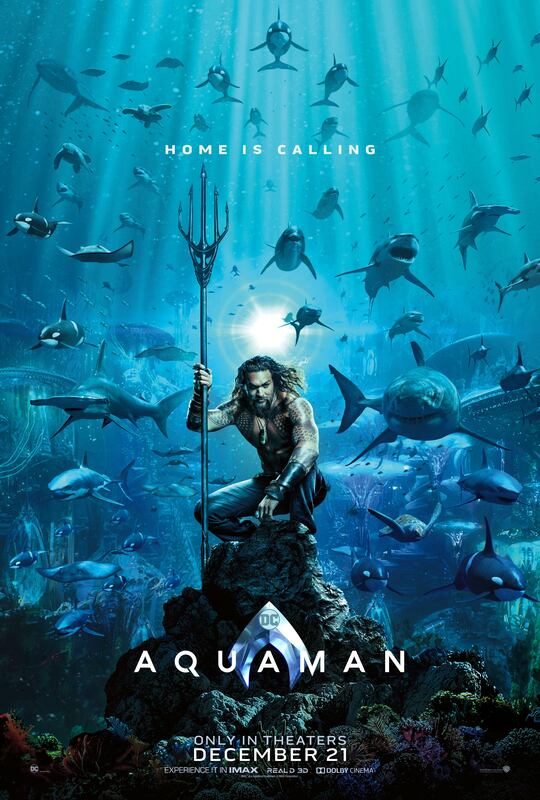 From Warner Bros. Pictures and director James Wan comes an action-packed adventure that spans the vast, visually breathtaking underwater world of the seven seas. 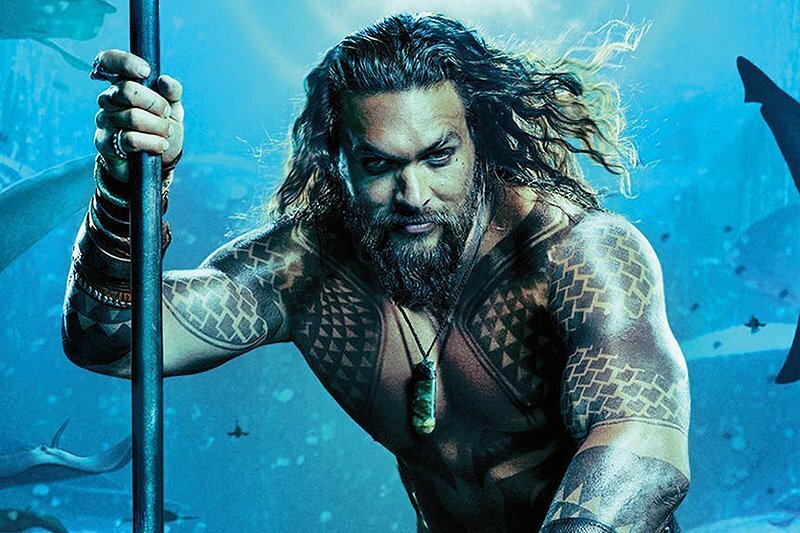 The film, starring Jason Momoa (Justice League, Frontier) in the title role, reveals the origin story of half-human, half-Atlantean Arthur Curry and takes him on the journey of his lifetime — one that will not only force him to face who he really is, but to discover if he is worthy of who he was born to be… a king. Aquaman also stars Amber Heard (Justice League, Magic Mike XXL) as Mera, a fierce warrior and Aquaman’s ally throughout his journey; Oscar nominee Willem Dafoe (Platoon, Spider-Man 2) as Vulko, council to the Atlantean throne; Patrick Wilson (The Conjuring films, Watchmen) as Orm/Ocean Master, the present King of Atlantis; Dolph Lundgren (The Expendables films) as Nereus, King of the Atlantean tribe Xebel; Yahya Abdul-Mateen II (Baywatch, The Get Down) as the vengeful Black Manta; and Oscar winner Nicole Kidman (The Hours, Lion) as Arthur’s mom, Atlanna. Also starring is Ludi Lin (Power Rangers) as Captain Murk, Atlantean Commando, and Temeura Morrison (Star Wars: Episode II – Attack of the Clones, Green Lantern) as Arthur’s dad, Tom Curry. Directed by James Wan from a script by Will Beall (Gangster Squad) and David Leslie Johnson-McGoldrick (The Conjuring 2), from the story by Geoff Johns, Wan and Beall, the film is being produced by Peter Safran and Rob Cowan, with Zack Snyder, Deborah Snyder, Rob Cowan, Jon Berg, Walter Hamada, and Geoff Johns serving as executive producers. The movie is based on characters from DC’s Aquaman created by Paul Norris and Mort Weisinger. Rupert Gregson-Williams (Wonder Woman) will compose the music. The post Comic-Con: Hold Your Breath… the Aquaman Trailer is Here! appeared first on ComingSoon.net.